The leading renewable energy company SunEdison is partnering with the commercial energy storage provider Green Charge Networks to provide a solar plus energy storage system to the utility company Silicon Valley Power, according to recent reports. The deal involving Silicon Valley Power is apparently part of a broader “ongoing strategic partnership” between the two companies — one intended to provide “additional electricity savings to commercial and municipal customers throughout California”. The combination of renewable generation (via solar photovoltaic panels) and energy storage allows customers of the two companies to cut down on utility bills rather substantially — especially considering the way that electricity bills are structured in California, with demand charges and energy charges for commercial and municipal customers being specified. 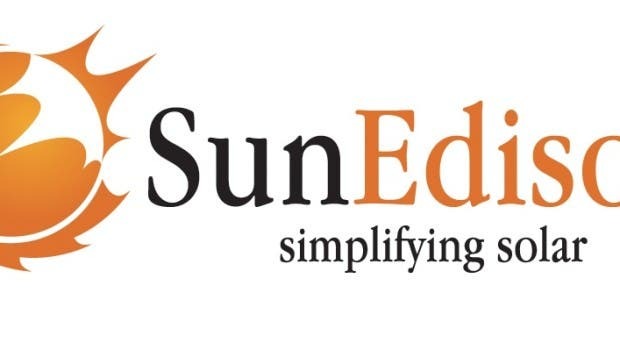 “Partnering with SunEdison and adding behind-the-meter storage, has created a one-stop-solution for commercial and municipal customers to holistically evaluate both their energy and power use,” noted Vic Shao, CEO of Green Charge Networks. As noted above, the municipal utility Silicon Valley Power is the first customer of the partnership — with that solar plus storage system now located at the Tasman Drive parking structure near the football stadium. That system has to-date generated more than 1.18 gigawatt-hours (GWh) of electricity, as well as displacing roughly 2 million pounds of CO2 emissions.